How Much Do You Know about Bone Marrow Donation? 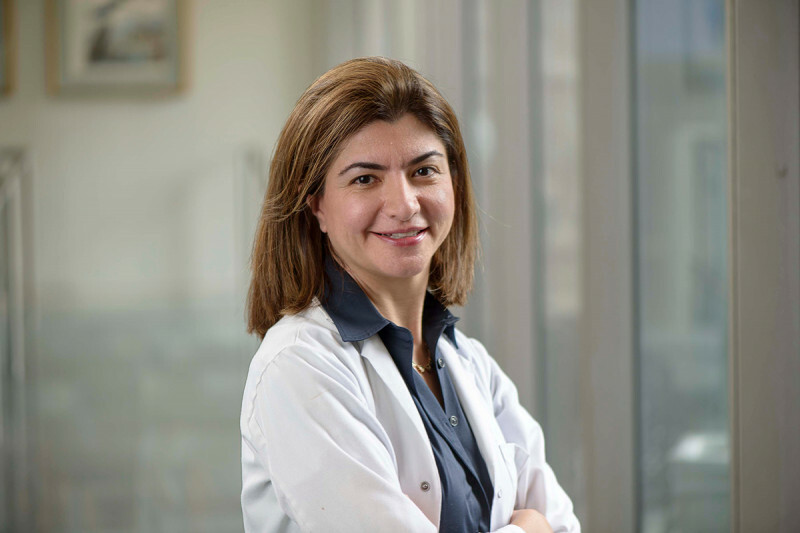 Dr. Dahi specializes in stem cell transplants at Memorial Sloan Kettering. Bone marrow and stem cell transplants are crucial for many people with blood cancers like leukemia and lymphoma, as well as other blood diseases. And the process of donating has gotten much easier in recent years. Take this quiz to find out how much you know about this simple way to save a life. Where do most stem cell donations come from? “We still commonly use the term ‘bone marrow transplant,’ but more often than not, what we really mean is a transplant using stem cells that are removed from the bloodstream rather than the marrow,” says Parastoo Dahi, a hematologist and medical oncologist at Memorial Sloan Kettering who specializes in stem cell transplantation. The doctor performing the transplant will decide which procedure will be used to extract the stem cells based on what he or she thinks will be best for the recipient. But the majority of donations are taken from the blood, not the bone marrow. What must patients who donate stem cells do before their procedure? Not much of a donor’s daily routine needs to change leading up to the donation. For a few days beforehand, donors need to take an injection called filgrastim (Neupogen®), which stimulates the bone marrow to produce extra blood-forming stem cells. They may experience some bone pain or a low-grade fever while taking filgrastim, but the side effects usually are not severe and go away after the donation process is complete. Leading up to the time of the stem cell donation, most people are able to give themselves injections of filgrastim at home, so they don’t need to go to the doctor every day. How long does it take to donate stem cells via blood donation? Dr. Dahi says the process takes three to four hours, though the donor may need to return a second day, depending on how many cells are retrieved. On the day of the donation, the donor is hooked up to an apheresis machine. The blood is collected from one arm; sent through the machine, which removes the stem cells; and returned to the other arm. Donors can read or watch movies during the donation process. In the case of both bone marrow and blood stem cell donation, the donor cells can be retrieved at a local hospital or blood donor room and shipped where they are needed. The donor and recipient may live in different states, or even in different countries. If you donate bone marrow, how soon can you go home? Bone marrow donation, the less common form of donation, is a surgical procedure done in an operating room. Donors are given general anesthesia so they don’t feel any pain as the bone marrow is removed, or aspirated, from both sides of their pelvis. True or False: Most patients can find a stem cell donor in their own family. According to Dr. Dahi, only about one-quarter of patients have a sibling who is a perfect match. This means that about 75% of cancer patients must rely on potential donors from the National Marrow Donor Program, a nationwide registry. Which group is underrepresented in the national registry? “For members of minority groups, there can be major problems finding donors,” Dr. Dahi says. “Different ethnic groups have different HLA types, so a patient’s best chance of finding a donor is someone within their own ethnic group.” It may be even harder for people of mixed ethnic backgrounds to find donors, because their HLA makeup can be more complex. True or False: To join the national registry, you’ll need to get a blood test. Joining the registry is easy. You can go to www.bethematch.org to order a collection kit that will be sent to your house or to find a local drive in your area. Once you get the kit, all it requires is wiping a cotton swab on the inside of your cheek, sealing it in a provided container, and mailing it back. Because the most successful donors are between the ages of 18 and 44, the National Marrow Donor Program asks that people between the ages of 45 and 60 make a $100 contribution to cover the costs of testing their swab.